Every business owner aims to put their products or services in front of their potential customers. If you research on the Internet, you will find a number of methods and strategies all claiming to promote products or services to a wider audience. But are there any ways using which you can promote a business without spending a lot of money? Yup! Social media is a free or inexpensive outlet to reach billions of users and target the desired customer for a business who you can help to reach their marketing goals. 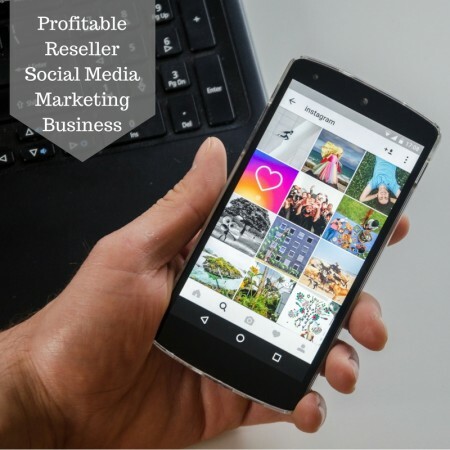 In this article, we will be sharing several useful tips for a profitable reseller social media marketing business without spending a huge sum of money. To start with, a social media marketing reseller program offers you everything that you need to become a social media expert. The reseller programs can provide branded website, portal under your brand, marketing material, leads, tons of online training and support to help you flourish a successful social media business online. Social media marketing reseller programs offers you various tools such as social software, reputation software, etc. that lets you keep a finger on the good reputation and marketing of the business online. The social media marketing professionals or resellers will also be given white label marketing material under their own brand to attract new clients. They can also create deals or sweepstakes, shopping and banners and much more. Offering deals or giveaways is a great way of bringing customers to a website, promoting brand awareness and thanking the customers for their loyalty. As a reseller you would become a social media marketing expert and would be readily available to answer the questions of your customers. This will lead to increased customer satisfaction and they will appreciate your educated response. This would go a long way in building strong relationships with your customers. With the help of social media marketing programs, resellers can bring leads which become customers for their clients. This would help them increase the reach of their business, increase sales, and profit margins. These are several useful tips for a profitable reseller social media marketing business. Social media marketing reseller programs are beneficial in helping you profit from helping businesses be found online. You can set your own plans and prices and charge your customers whatever you like. Moreover, you can also keep 100% of the sales.